There are now over 200 wineries throughout the Finger Lakes, and some have been gaining admirers in New York City restaurants and throughout the world. All this attention and these recent awards seem to have bewildered local winemakers, who have been practicing their craft for years. Most of the eleven bodies of water that collectively form the Finger Lakes in upstate New York are long and thin, as if The Wolverine had slashed through a swath of 9,000 square miles with all ten retractable claws plus one. 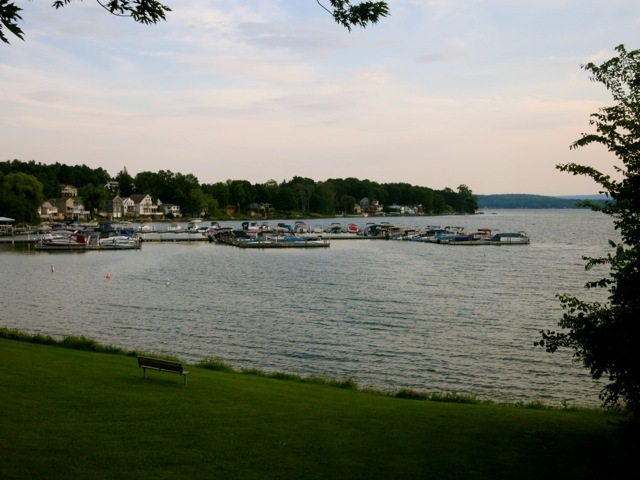 Each has its own vibe and history, though the largest of the lakes, Cayuga and Seneca, typically get the largest number of tourists. 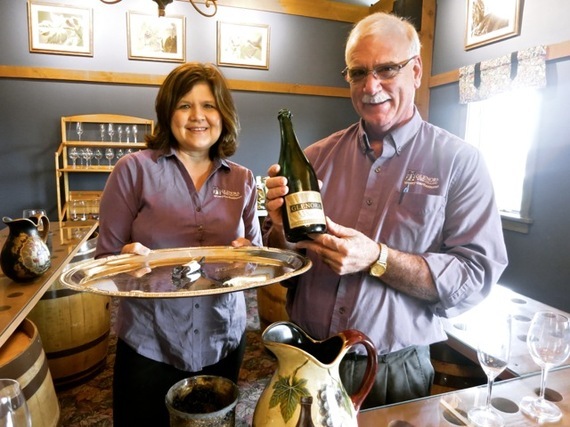 There are now over 100 wineries (and growing) throughout the Finger Lakes, and some have been gaining admirers in New York City restaurants and throughout the world. All this attention and these recent awards seem to have bewildered local winemakers, who have been practicing their craft for years. "The Finger Lakes are exploding," many say, shaking their heads in wonder. It's like the wine world has all of a sudden awoken to the excellent quality of Finger Lakes vintages. So far, development has been staved off, making this area of New York a most relaxing yet intriguing place to spend a few days or weeks. To top it off, there is none of the pretentiousness you might find in other wine regions. The following list focuses on just two Finger Lakes, Seneca and Keuka and by no means is an exhaustive list of things to do even on those two lakes alone. Here are the Getaway Maven's recommendations for the best immersive overview of New York's emerging wine region just to get you started. 1. Discuss the origins of European grape cultivation in the Eastern USA with the grandson of the man who started it all at Dr. Konstantin Frank Vinifera Wine Cellars (Keuka Lake). You wouldn't expect the genesis of European wine production in the Eastern United States to be so off-the-beaten-path. But over 70,000 people per year find this vineyard with hundreds of award-winning wines on a just-paved road above Keuka Lake. Dr. Konstantin Frank, a PhD in viticulture working at Cornell Agricultural Experimental Station, began planting European vines here in 1958. The cool climate was perfect for growing Riesling, Gewürztraminer and Grüner Veltliner, but Frank discovered that an indigenous bug, Phylloxera, killed European Vinifera roots leaving resistant native Labrusca roots alive. Frank successfully grafted Vinifera vines to Labrusca roots, thus launching the cultivation of European wines in the Eastern United States. 2. Sip on top Rieslings and twenty other wine varieties at Heron Hill Winery (Keuka Lake) in one of the most innovative buildings in the Finger Lakes - an assemblage of architectural styles incorporating a barrel, a silo and other elements of the region. 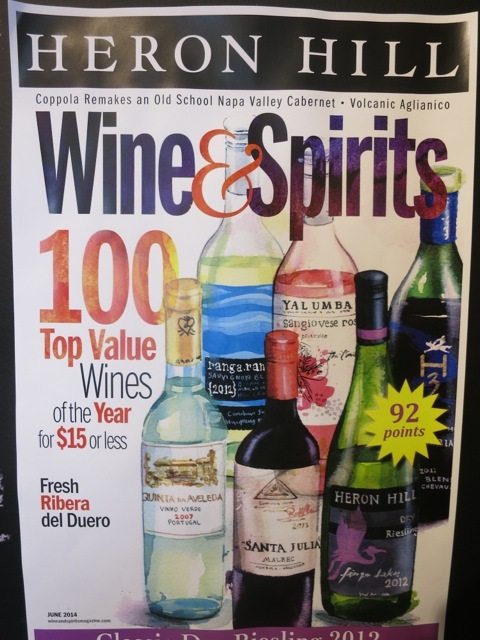 Wine and Spirits Magazine June 2014 issue named Heron Hill Dry Riesling one of the Top 100 Value Wines of the Year (Under $15) - a bargain for this very flavorful drinkable white. 3. Though the Wright Brothers claim the "First Flight," Glenn H. Curtiss, the "Father of Naval Aviation," flew the first publically announced and witnessed flight right here in Hammondsport NY (Keuka Lake) in his self-built aircraft, June Bug, on July 4, 1908. The Glenn H. Curtiss Museum, a veritable Smithsonian of early flight and experimentation, concentrates on the life, time and accomplishments of Glenn H. Curtiss, showcasing 25 full-sized aircraft, a couple of dozen automobiles, a good number of boats and countless bicycles and motorcycles in a 57,000 sq. foot former wine warehouse. 4. Throughout the 1900's, winemaking was not the only key industry in the Finger Lakes. Several dozen wooden boat builders called this region home. 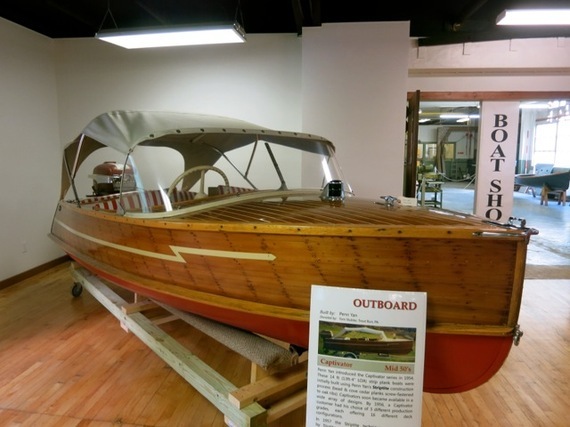 Discover this little-known fact at the Finger Lakes Boating Museum (Hammondsport - Keuka Lake). Penn Yan, Skaneateles (pronounced "skinny atlas"), Fay and Bowen, Thompson, Morehouse and many others produced beautiful wooden vessels that plied these long narrow bodies of water, and this newly opened museum displays the best of these crafts while offering classes in wooden boat building. 5. 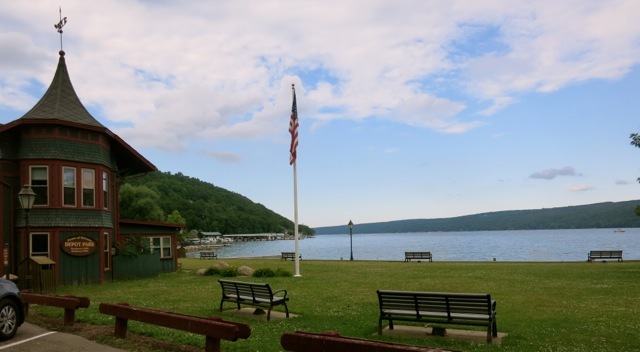 Stay in a pre-Prohibition winery building, now an upscale three guest-room inn -The McCorn Winery Lodging (Hammondsport - Keuka Lake). The just opened 18-years in the making inn is arguably one of the coolest new places to stay in the Finger Lakes. The River Room features stone and wooden walls, a large King bed with headboard of reclaimed winery door and Greek columns that the owner, Jeff Ingersoll, sourced from a construction job, new granite counter bathroom, and a staircase up to a ceiling hatch that takes you to a wonderful sunroom overlooking the lake. Two rooms $159, River room $179 per night. 6. Taste "Red Zeppelin" and purchase all that's needed to make your own wine in the 6th generation-family-run Fulkerson Winery (Seneca Lake). Sayre Fulkerson is 6th generation owner of this vineyard farm, in the family since 1805 when ancestor Caleb Fulkerson bought a few hundred acres in what was then a lakeside wilderness. You can see Caleb's grave in a family cemetery amid native and hybrid grape vines, and learn about winemaking in the Finger Lakes from one of its pioneers. Grapes have grown in this region since the 1830's: basement winemaking has been a local tradition for nearly two centuries. Fulkerson actually started selling grape-juice along with winemaking kits in 1979 through his Juice Plant, which is still is a significant part of his business. Readers of romance novelist, Kristan Higgins, might recognize Fulkerson and his Winery from her stories set in the fictional town of "Manningsport, NY." 7. Stop in for a delightful Chocolate and Wine pairing at Glenora Wine Cellars (Seneca Lake). In 1977, this was the first winery on Seneca Lake, and now the most developed in terms of amenities and production (60,000 cases/year). Take a Cellar Tour and see typical barrels and stainless steel vats as well as a unique "concrete egg" - a European fermenting container gaining popularity in the US. Glenora's Wine and Chocolate Tasting experience has evolved into one of the most mouthwatering experiences around: seahorse-shaped Guylian Belgian Chocolates, served on a silver platter, are paired with four award-winning wines in a private room for just $8! 8. 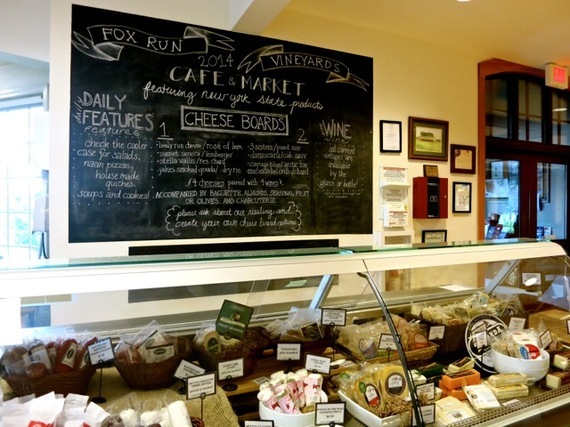 Get Into the Science of growing grapes, while picking up a locally sourced picnic lunch at Fox Run Vineyards (Seneca Lake). 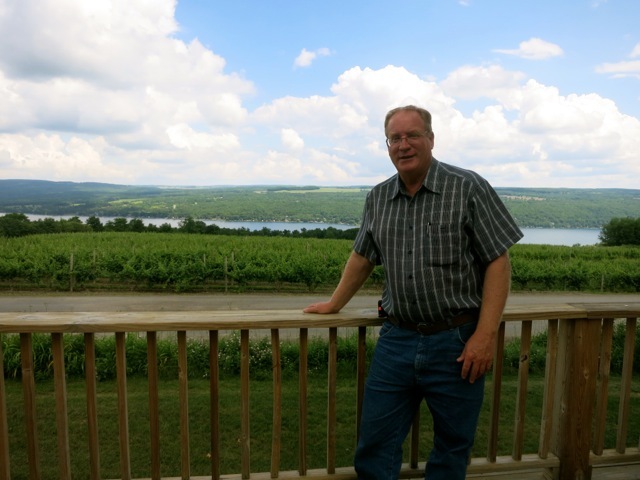 Take a Tour and Tasting ($8), and learn how the geography and climate of the Finger Lakes makes for top Rieslings and Chardonnays. Owner Scott Osborn got into the "wine-making biz" in California, but loves being out here making cold climate wines. 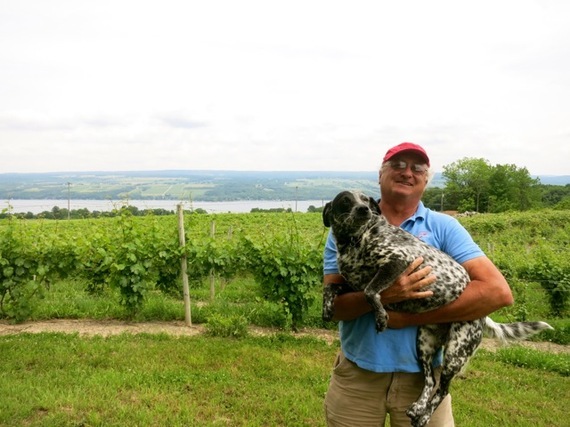 The Finger Lakes were once underwater, so the soil is both sandy and loamy, and Fox Run has been experimenting with and researching the effects on quality and taste of grapes grown in all microclimates of this particular "terroir." 9. 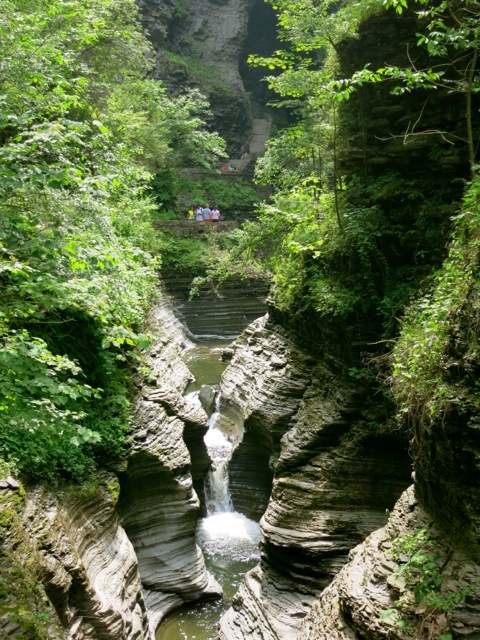 There are 19 waterfalls on a 2 ½ mile loop trail up and down through the gorges of Watkins Glen State Park (Watkins Glen, Seneca Lake). It's a fun, wondrous place that's been thrilling generations of visitors. And if you park in town and walk in, it's free. 10. FLX Weinery on Seneca Lake is not your average hot-dog shack. It's owned by Master Sommelier, Chris Bates (who still teaches professional classes at the International Culinary Center in New York City) and his wife Isabel Bogadtza. 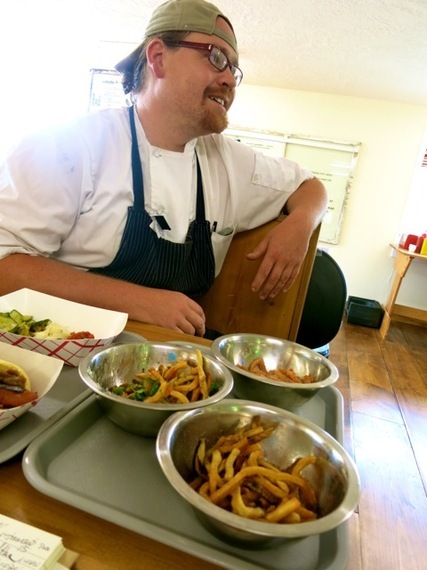 With house made pickles, kimchee, gourmet soups, salads, and meats sourced from down the road, FLX Weinery is arguably the only "hot dog stand" in the world that dishes out from-scratch bratwurst, Italian chorizo, Lamb Pate and Crisp Port Belly. For a perfect comfort food lunch, order a Shirks smoked dog ($2.95), topped with outrageously toothsome pickles, smoked fries or exceptionally crispy onion rings, and either a should-be-against-the-law-decadent Nutella or Bacon-Maple Milkshake. The Weinery is fast becoming a local hangout. "All the winemakers come in and powwow here." Well, duh, of course. The food rocks. 11. Stay in unfussy luxury at a Mom and Pop vineyard surrounded by farmland and fine Seneca Lake views at New Vines B&B. Though New Vines has a Penn Yan address, this excellent B&B - a newly constructed home far from any downtown and owned by genial couple Todd and Dani Eichas - actually overlooks Seneca Lake. 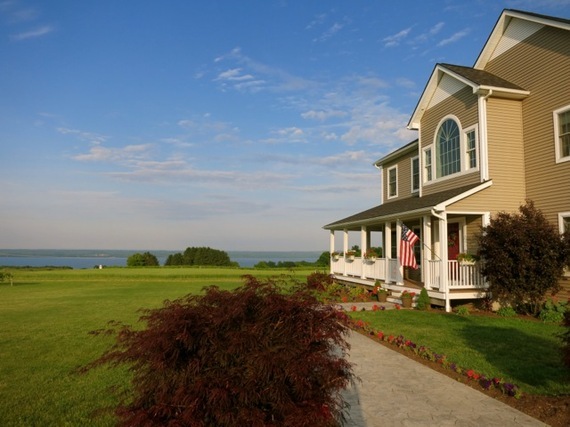 Each afternoon, the Eichas's serve house-made "New Vines" label wine with local cheese on the porch facing the lake. If available, ask for their suburb Dry Rose: "We don't make enough of it to sell, and we love drinking it." At dusk in summer, the front porch is the best "room" in the house. In the morning, Dani makes a delicious country breakfast from asparagus, broccoli, potatoes and strawberries fresh from her garden and other ingredients from farms down the road. 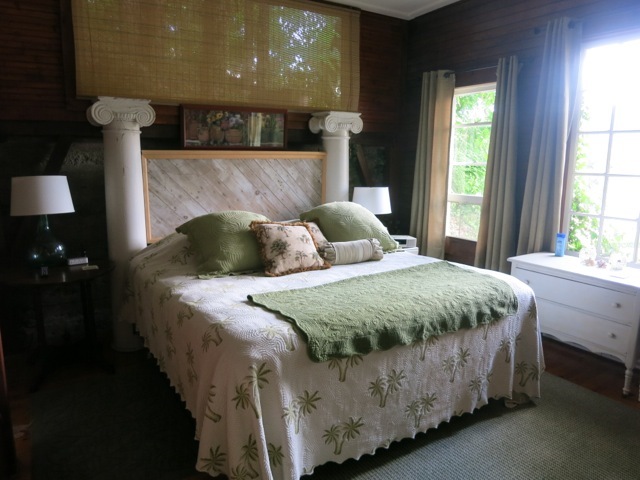 Rates $120-$160 per night include afternoon wine and cheese and a full country breakfast. 12. 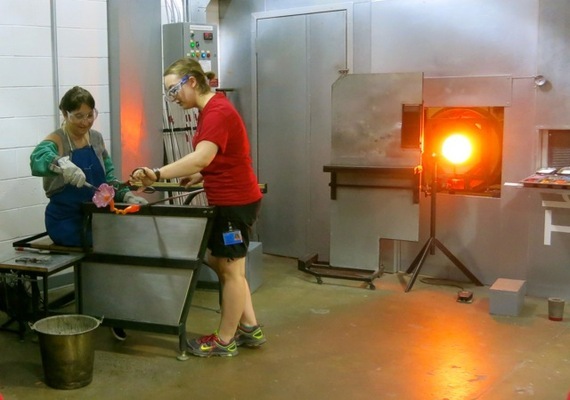 A bit over 20 miles from either Watkins Glen or Hammondsport, The Corning Museum of Glass is a worthwhile stop on your way back to points East. Take some time to explore the History of Glass, a knockout Contemporary Studio Glass Gallery (soon to be expanded in a new wing now under construction) and three floating pavilions in the interactive Innovation Center. For the ultimate in interactive, book a Make Your Own glass from $12 for a sandblasted bowl to $29 for glass flower or ornament. I can attest to the thrill of working with molten glass as it emerges from a 2,000-degree furnace. There's nothing like it. RSVP is necessary - and slots fill up quickly. Museum open daily 9-5pm (until 8pm in summer). $16 adults, under 19 free. 13. 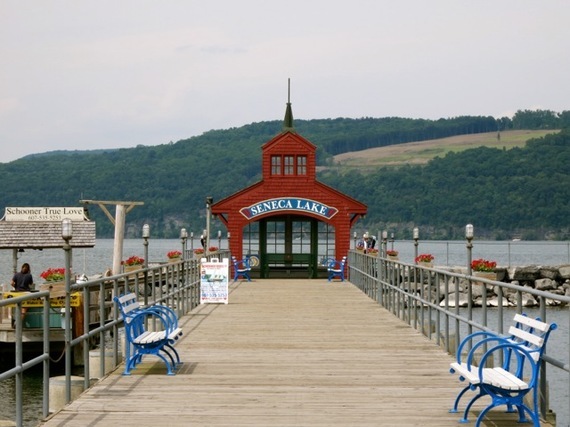 For more on what to see and do in the Finger Lakes and all over the Northeast, check in with the GetawayMavens.com.